This is the third article in the series: How to Not Get Overwhelmed with Indie Publishing. 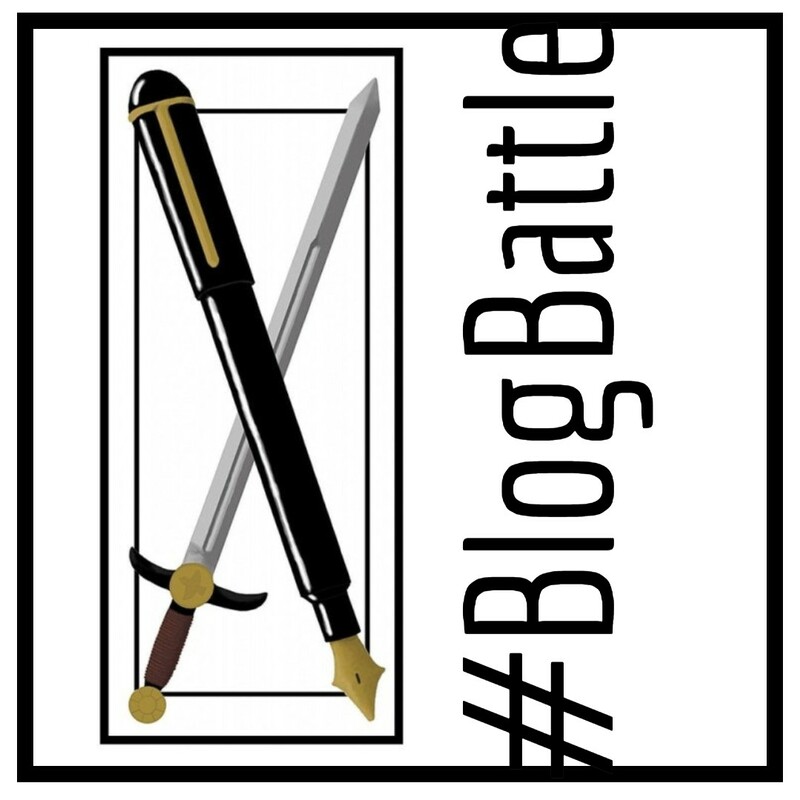 Since there’s a lot that goes in to this process today we’re going to discuss something that falls during and/or after you’ve written your story, started acquiring beta readers, and let’s not forget retained editing assistance. If you are not writing just for yourself or select family members and plan to publish to the public at large then all of these things that we’re discussing are important to keep in mind. I had no idea where to begin when it came time to publish my first book. I had read things here and there, but until I’d finished the book and sent it off to my editor I’d not given a thought to anything outside designing my cover. But I think this is a good point in the journey to start thinking about and even commissioning your cover. Cover design can be complicated, and an indie author would be wise not to take it lightly. I wholeheartedly agree with the research I did back when I first began that says a cover shouldn’t be thrown together or look like a bunch of cut and paste photo-shopping. The good news is there are many options for cover design at many different price levels ranging from DIY free to PRO $500 ish. I think the median cost of most covers tends to fall around $250 to $300. I happen to enjoy photography as well as art and regularly utilize my photo manipulation program to play with both. I have Corel PaintShop Pro X4 (they are on X8 now), but there are many programs that do similar photo and design work such as Adobe InDesign & PhotoShop, Magix photo design, etc. In fact, I’ve known a few authors who’ve made their own very tasteful book covers using Canva, which is a free online design program for making things from covers to memes and advertisements and everything in between. A caveat to using Canva or similar photo websites is I don’t know the legal logistics of using their photos, free or otherwise, for a book that you’ll be selling. I am in no way a lawyer and cannot give you advice on legal matters. I do know your responsibilities with using photos that belong to someone else can range from giving the owner of the photo credit on your copyright page to sharing the book sales profits. Read the fine print before using anyone else’s photography or designs! While considering my final course of action in regard to how I would procure a cover for my first book I also spent a good amount of time looking at the covers of other successful books in my chosen genre. I wanted to have a cohesive design but not be a carbon copy of every other cover in the YA genre. The trends change rather quickly, so it’s good to have your finger on the pulse of what is eye-catching. When I was still writing my first book I started playing with ideas for the cover, and it morphed into many things before I settled on a simple design that I felt could carry complimentary elements throughout the series. None of these designs, up until the last one, were completely finalized and many were just great practice for using different features of PaintShop Pro. I didn’t start out planning to write a series but came to that conclusion as ideas for the various characters in the book began to unfold in my imagination, stories I wanted to pursue. There was also an overarching/series plot that developed in The Beauty Thief that would be sure to give the books a sense of cohesion. The logical step was a series, which is now underway, and with any series it’s good to have a continuity of design elements. If you are going to design your own cover I do not recommend using the free templates offered through various publishing platforms. For example, Createspace has a limited capability with their free template design features. These lack the changeability of professional styling. The only books I could see benefiting from their templates are non-fiction within limited categories of interest. If you are thinking of going the free template route, I would definitely choose Canva’s free book cover design platform which is pretty simple to use and offers a lot more flexibility with design elements and fonts, etc. If nothing else, ask me for help designing your cover! I do enjoy PaintShop, and soon I’ll be teaching myself the ins and outs of Adobe InDesign. And for some great advice on what not to do when you DIY, check out this article from BookBub: 9 Book Cover Mistakes to Avoid. One designer gal that caught my attention on Facebook with her whimsical covers was Amalia Chitulescu. And this short list only scratches the surface of what’s available! The Book Designer is a great website, offering extensive information on everything related to book design and publishing. The site is pretty easy to navigate, too. One of my favorite things The Book Designer offers in relation to book covers is a monthly cover design contest that not only chooses winning covers but even gives some helpful feedback on what works and doesn’t work in a book cover. How to Make Your Own Free Book Cover in MS Word by Derek Murphy. Advice that will always be helpful when it comes to the designing of your cover is pay attention to your niche market. It’s more important that your cover fit in with other books in the same category, implying that whoever is searching out that type of book will know it belongs. Spend time on Amazon searching the top books in your genre. Search using keywords that describe similar elements found within your story. Pay attention to the styles of covers for various genres. Something that works for a straight up Action/Suspense book won’t necessarily work for one that is Science Fiction with action and suspense elements. 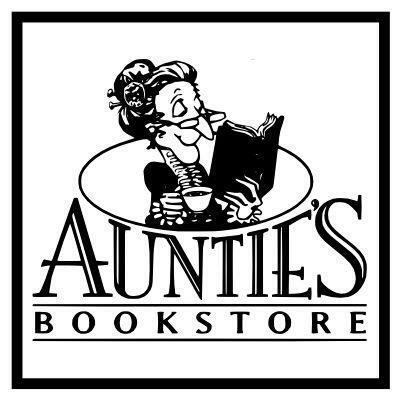 Browse your local book stores to see what’s hot. If it’s in the stores on the shelves then the covers have come from reliable research on current trends, though this is no guarantee of their awesomeness. One other thing I will mention today is just because a book was published through the traditional route doesn’t mean it will have a great cover. It’s amazing to me what passes as a good cover, and I particularly hate when the cover is so on trend but off topic that while I read I’m distractedly thinking, “Really? What does this cover have to do with the book?” For some inexplicable reason that sort of incongruity always makes me feel a little like I’ve been deceived. But the good news is the cover doesn’t have to tell the story of the book as long as it has the feel, or elemental values, of the genre from which it comes. So what do you think? 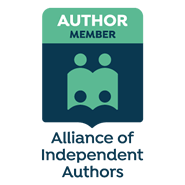 Are you ready to tackle the next step in indie publishing? What questions do you have about cover design? I’m all ears (which means I’m listening)! 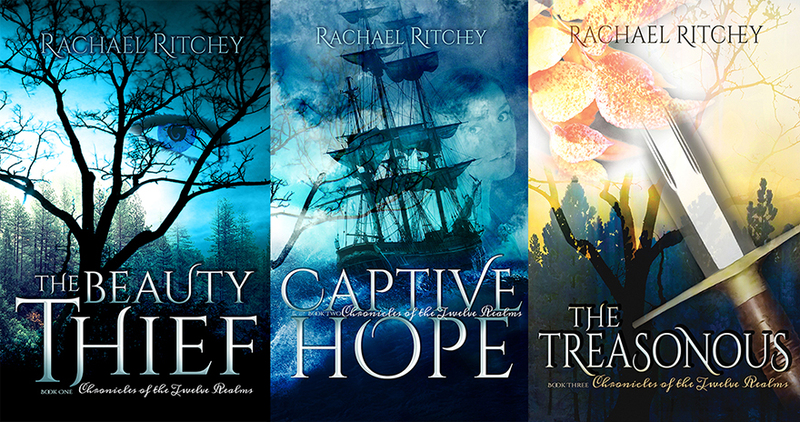 Rachael Ritchey is the author of the Chronicles of the Twelve Realms, a series of young adult fantasy fiction. Her emphasis in writing young adult fiction is to make her stories accessible to all, be true to herself, and entertain her readers. Life is an ever-changing path where Rachael’s goal is to find the adventure at every turn. She currently lives in eastern Washington with her husband, four kids, and their dog named Hashtag (#). Sorry, I missed this post somehow! You’re right to warn people about the dangers of using other people’s photography without checking licensing agreements. Some free sites explicitly state that their work is not to be used for any sort of commercial purposes, some purchased images can only be used a certain number of times before an extended license needs to be added (each book cover sold is counted as a single use, as is the images being sent across the web in various formats). I also agree about investing in professional help if you’re not a design expert – this and a comprehensive edit are essential when it comes to presenting a professional finished product. Wow, see Helen, I’d totally forgotten about the limited use aspect. Thanks for mentioning it. 🙂 Since I design my own covers I also use my own photography and graphic design. Thanks, Rachael, that’s very kind of you. I work with my brother on the covers – as well as being a musician he’s also a designer, so he helps me to put them together and source any images we might need. Creative Market.com is one site we use – they have a huge range of fonts and images and a comprehensive licensing system, so it’s easy to choose the right type of license. I know Fotalia is quite popular too, though I’ve not used them myself – several bloggers I know use their images quite a bit. Thanks for sharing that info, too. 🙂 And thank you. I go back and forth over whether I like them. I’m getting excited about thks next one, but the ideas are just different enough I’m worried I’ll need to go back and change the layout of the first two! I’d love to learn Adobe Indesign! 🙂 How much does the program cost? *gasp* When was your birthday? Did I miss telling you happy birthday? Thank you for the info! I’d like to try Indesign some time. Do you plan to create some tutorials for it as you learn more and more about Indesign? 🙂 Possibly, I’ll do that. It could be useful, but I bet there’s some on YouTube. I keep forgetting to check Youtube for tutorials. *slaps forehead* I’m sure you’re right. Our collective memory is going! We’re in trouble! Oh, I’ll check it! Thanks for the heads up! Cover at was always one of the hardest parts because I can’t draw or do photography or anything that makes covers. I was lucky to work with my wife’s cousin from the beginning, but I did other projects that required looking elsewhere. I used 99designs with success and friends of friends/family. Two suggestions I never got to try might help others. One is if you live near a college with an art program. You can contact the head of that department and ask if any of the students would be interested in a portfolio building/low paying job. In the same vein, the other suggestion was to look through sites like Deviantart for an artist that you like and works in a genre style similar to your book. Then just ask if they would be interested in the job. Great suggestions, Charles! Thanks for taking the time to share that info. I like the idea of helping a college student build their portfolio woke they help you create a great book cover! Ha! Too true! 🙂 it’s good to push ourselves outside our comfort zones in life and writing! Thank you, Rachael for posting this and the others, I am bookmarking them as they are great advice to keep looking back at.